Honestly, I love a good salad. And this one happens to be completely satisfying and filling. However, the real star is the dressing. 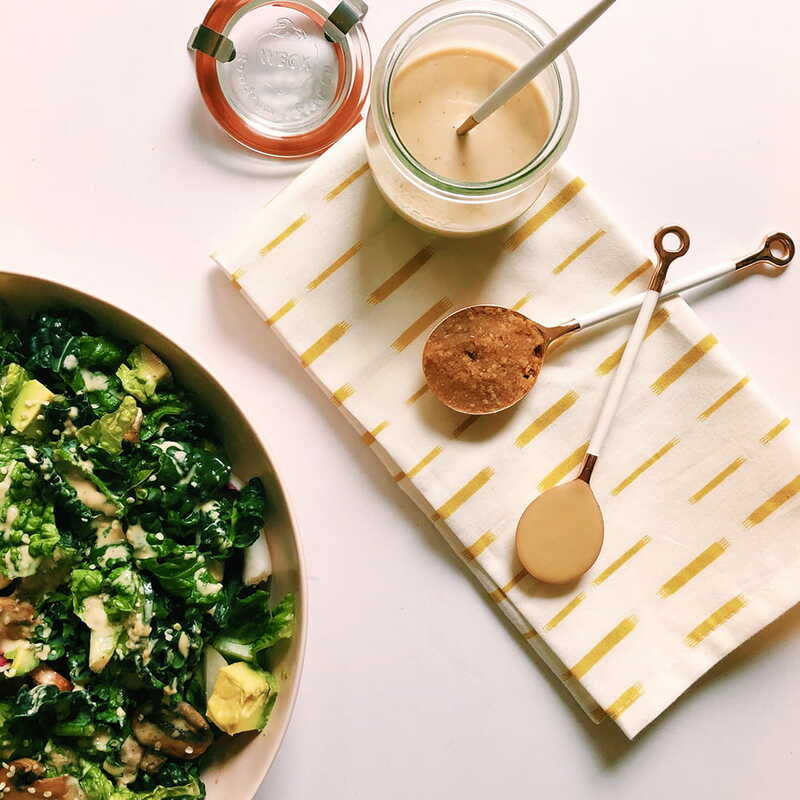 I wanted to make a minimal miso dressing because quite frankly, I’m tired of shelling out money for dressings that I know I can easily make at home (and usually with better quality ingredients)! 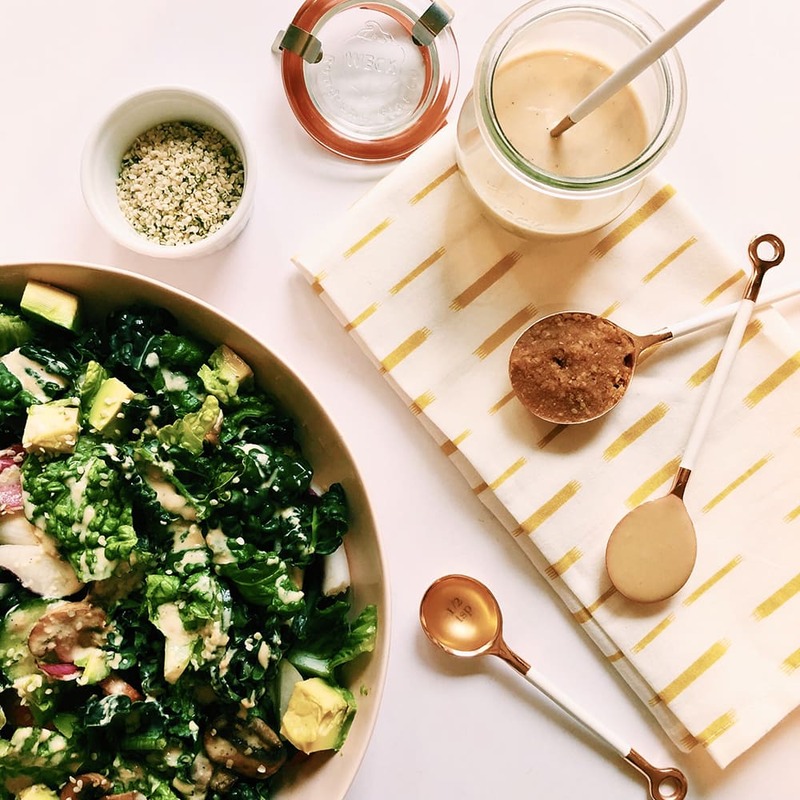 This five-ingredient miso dressing includes organic tahini, red miso, apple cider vinegar, black pepper and water. It’s truly a show stopper and is naturally filled with good gut bacteria and tons of vitamins and minerals. 1. Rinse all veggies and dry. 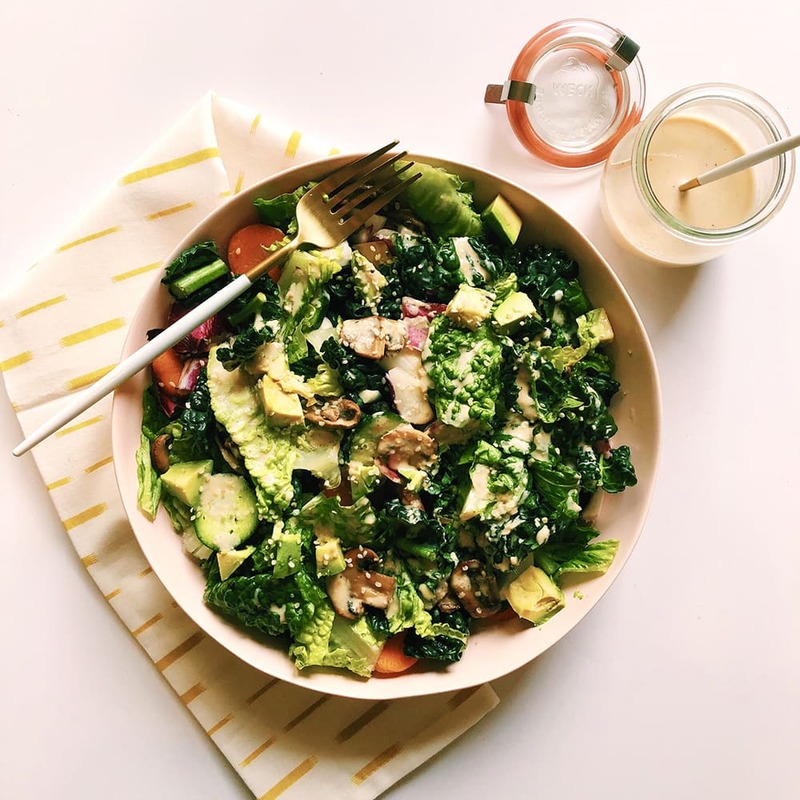 Chop the kale, romaine, and endive lettuce to bite sized pieces and place in a large mixing bowl. 2. Slice the carrots, cucumber, and radish and combine with the lettuces. 3. In a small pan, quickly sauté the crimini mushrooms (I used an avocado oil spray) and combine with the rest of the chopped veggies. 4. Add your desired amount of avocado, sprinkle hemp and sesame seeds on top of your salad. 5. Place the red miso, tahini, apple cider vinegar, and water in a small container. Combine with a fork until it reaches the consistency you’re looking for. If you want this dressing to be thicker only use 1 Tbsp of water, but if you want it thinner use 2-2.5 Tbsp of water. Once combined, toss in some black pepper and stir again. 6. Dress your salad, and enjoy. Store dressing in an airtight container and leave in the fridge. It keeps for about a week.